Veterinary ectoparasitics, often referred to as flea and tick products, represent one of the largest market segments in animal health. In addition to fleas and ticks, the veterinary ectoparasitic market also consists of products to repel and/or kill mosquitos. Fleas and ticks are not only unsightly on your pet or in the environment, but also represent vectors which can transmit veterinary and human diseases. Mosquitos are know to transmit diseases such as canine heartworm. 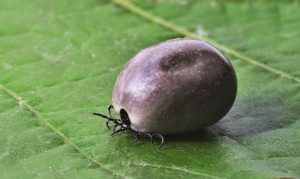 Veterinary ectoparasitics, often referred to as flea and tick products, can come in a variety of forms including sprays, spot-ons, collars, shampoos, foggers, and premise control products. Veterinary ectoparasitics which are used topically on your pet, or are for premise control (sprays for bedding, etc. ), are regulated by the Environmental Protection Agency (EPA). There are a variety of chemicals which have been used to control fleas, ticks and/or mosquitos including pyrethrins, pyrethroids, permethrins, organophosphates, and insect growth regulators. Many of these chemicals can be found in topical flea and tick sprays, flea and tick shampoos, flea and tick collars, and flea and tick spot-ons. The terms biopesticide, pesticide, ectoparasitic, and/or ectoparasiticide are often used to refer to these products which can be generally classified as veterinary ectoparasitics. EPA: More information about the EPA’s regulation of veterinary ectoparastics (click here). However, if a flea and tick product is ingested (not used topically), it will be regulated by the Food and Drug Administration – Center for Veterinary Medicine. Why? because this type of product requires metabolism or chemical reaction within the body to achieve the effect on the fleas and/or ticks. As such, oral veterinary ectoparasitics are considered veterinary drugs (veterinary pharmaceuticals). One example is fluralaner, considered a parasitic by the FDA-CVM (FOIA Summary).